As the Senate continues to debate health care proposals that could result in significant cuts to vital public programs, we want to talk about the importance of Medicaid and Medicare to the population that crucially depends on both programs working in concert – the dual eligibles. Dual eligible beneficiaries are eligible for Medicare either based on age or permanent disability, and also have low incomes that meet Medicaid eligibility guidelines. 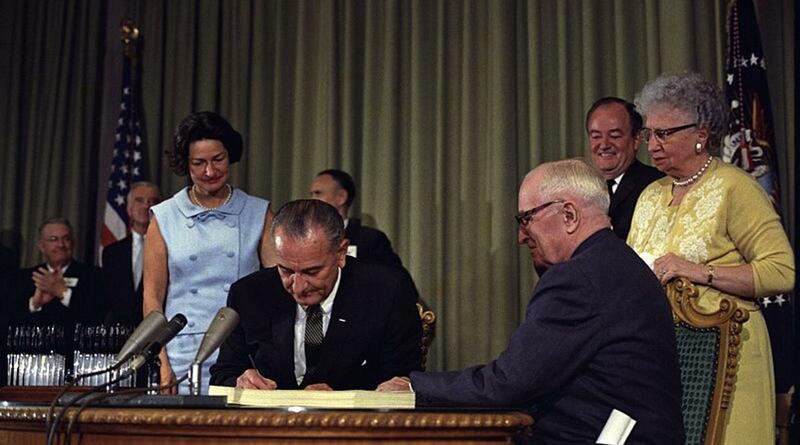 It was fifty-two years ago this week that President Lyndon B. Johnson signed into law these two landmark programs that together have improved health care and financial security for generations of Americans. Of the approximately 74 million people currently on Medicaid and 56 million on Medicare, 11 million are dually eligible for both programs. This segment of the population is a high-cost patient group, has more complex medical and social needs, and has more frequent interactions with the health care system making these two programs especially vital to their health care security. Dually eligible individuals make up 20 percent of the Medicare population but account for 35 percent of all Medicare expenditures. Similarly, they make up 14 percent of the Medicaid population but account for 33 percent of all Medicaid expenditures. They have greater health care needs: 41 percent of dual eligibles have at least one mental health diagnosis; about 60 percent have three or more chronic conditions and 27 percent receive institutional long-term services and supports (LTSS). Medicare covers prescription drugs, physician and hospital services and skilled services either at home or in a rehabilitation facility after an acute event, but not long-term care needed by so many older adults and people with disabilities. Medicaid covers long term care as well as many additional services for those enrolled, including dental and/or vision care in some states and transportation, to name a few. Medicaid is the primary payer of long-term care, both in nursing homes and in the community. In 2011, 62 percent of Medicaid expenditures for dual eligibles were for long-term services and supports (LTSS). As the proportion of the U.S. population over 65 grows steeply in the coming decades, the need for LTSS will only increase, increasing the demands on Medicaid. Medicaid helps to cover the cost of Medicare premiums and cost-sharing payments that beneficiaries otherwise could not afford, through the Medicare Savings Programs (MSP). Medicare and Medicaid have together served as fertile ground for progress in health system innovation. The passage of the ACA initiated innovations that show promise for improving care for the dual eligible population. For example, the thirteen-state Financial Alignment Demonstrations are working to better align the financing of the Medicare and Medicaid programs in order to better integrate services – which have long been fragmented and hard to navigate – for dual eligible enrollees. Early evaluation findings hold promise that these models could improve the health outcomes of this population. In past years, this anniversary has normally been a time of celebration and pride in the achievements of Medicaid and Medicare in improving the lives of so many of Americans, those dually eligible and the tens of millions more who are enrolled in one of the two programs. But this year is anything but normal. We find ourselves observing this anniversary week in the midst of chaos and uncertainty. At this moment of threat to the gains of the past 52 years, let’s remember to celebrate the vision that led to these vital programs, and continue to do everything we can to protect them.